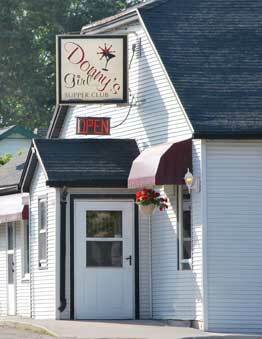 Donny's Girl Supper Club is located just five minutes southeast of Watertown on Hwy E. Parking—including handicapped—is available in our convenient lot or along the roadside. Take Hwy E (Concord Avenue) southeast out of Watertown. Go approximately four miles. Donny's	Girl Supper	Club is on the left. Take I-94 east to Sullivan/Ixonia exit 275. Turn right on Hwy F, go half mile. Turn right on Hwy E, go 5.7 miles. Donny's Girl Supper Club is on the right. Take I-94 west to Sullivan/Ixonia exit 275. Turn left on Hwy F, go half mile. Turn right on Hwy E, go 5.7 miles. Donny's Girl Supper Club is on the right. Give us a call and make your reservations today!